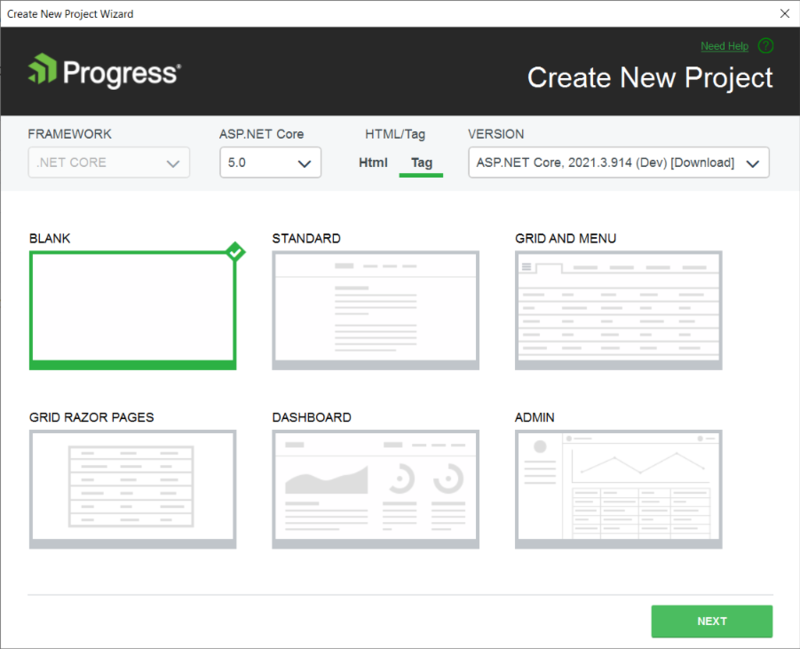 This article demonstrates how to create a new Progress® Telerik® UI for ASP.NET Core application. You can create new Telerik UI for ASP.NET Core applications by using the Create New Project Wizard. Click Telerik > Telerik UI for ASP.NET Core > Create New Telerik Project. Navigate to the Telerik ASP.NET MVC Core project templates under Telerik > Web. For convenience, the same project templates are located under the Visual C# > Web and Visual C# > .NET Core nodes. The wizard detects all installed versions of Telerik UI for ASP.NET Core and lists them in the Version combobox. This enables you to select a version you want to apply to your project. Install .Net Framework version 4.6.2. Check the .Net version in the list of Individual components. To open Visual Studio Installer, go to Tools > Get Tools and Features. In Visual Studio Installer, select the Individual components tab and check the .NET Framework 4.6.2 targeting pack and .NET Framework 4.6.2 SDK. Project type—Choose the desired project type: Blank, Standard, Grid and Menu. Version—Choose the version of Telerik UI for ASP.NET Core you want to use. After configuring the project settings, click Finish to start creating the new ASP.NET Core application. Creates a new ASP.NET Core application. Adds CDN references for the Kendo UI styles and scripts to the Layout file of the project. Copies all Kendo UI editor templates. Adds a package reference to the Telerik.UI.for.AspNet.Core NuGet package. As of the 2019 R1 release, the wizard creates a Templates folder in the root of the application. By default this folder is not visible and is not included in the project. To make it visible click the Show All Files button in the Solution Explorer of Visual Studio.